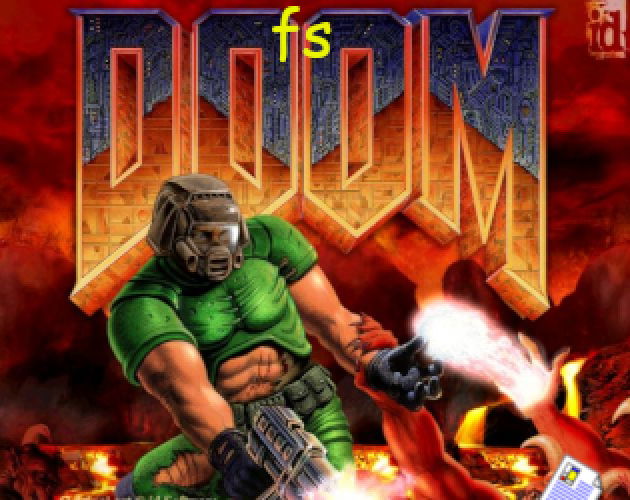 fsdoom is a file management tool in the form of a Doom mod - spawned demons represent files in your home directory. Killing them will delete the files. Win the game and find out what did your /home mean to you. For your own safety, the game is distributed only as a source code and a Ubuntu 18.10 VirtualBox image :) If you really want to run it directly, keep in mind that this game will delete your files! You have been warned. Made for Global Game Jam 2019 in Warsaw, Poland (Polyjam 2019). The image includes a shareware Doom I WAD file. There are also custom levels made for psdoom - refer to its README in order to get access to them.